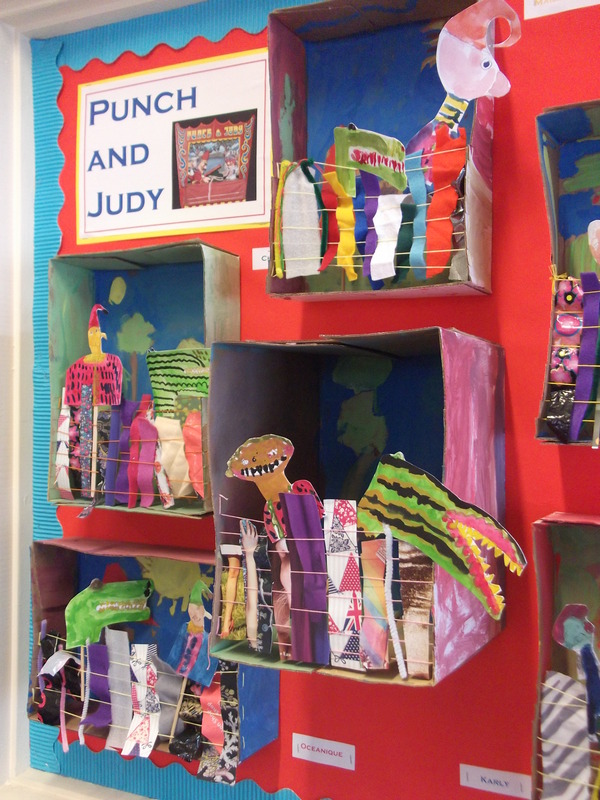 I’ve used these shoebox (or photocopy paper box!) 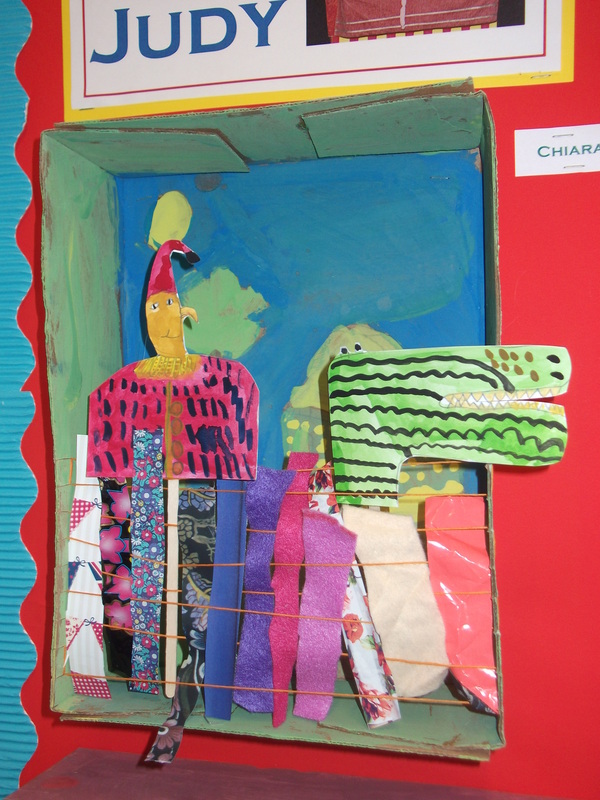 looms to teach children about the flexibility of materials in science lessons and to create Punch and Judy boxes as part of a Year 2 topic on the history of the seaside. It’s very simple…take a box and use a craft knife to make small cuts spaced evenly on both sides of the box. 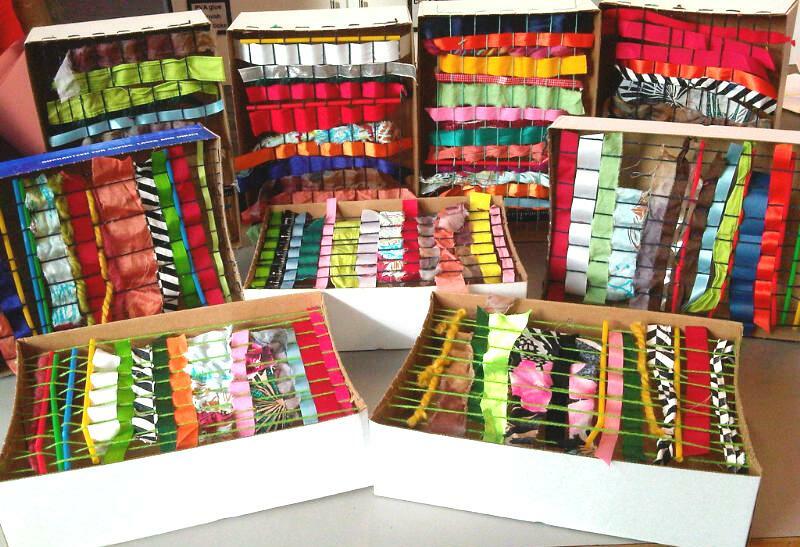 Stretch string or wool from one side to the other along the length of the box. Twist the wool around twice at the start and finish point to fix it. Make sure it is stretched tightly. 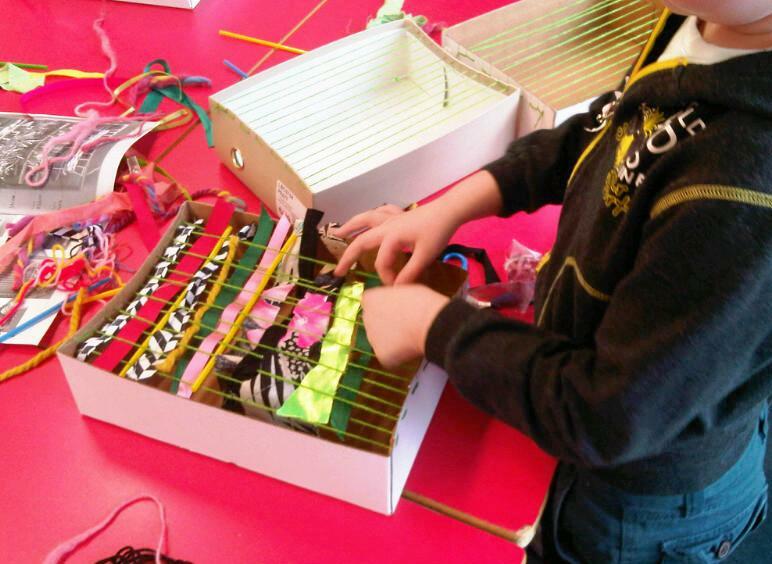 Now you can give the boxes to children to experiment weaving in and out with strips of fabric, paper, ribbon etc.